The Golf Lab's trademarked Training Programs are the most effective way to improve your golfing skill set. Students in our training programs will have their own individual performance plan built around their Key Performance Indicator as identified in the Skill Set Analysis. Private teaching, equipment analysis, physical performance and equipment performance will all be addressed over the course of the program. 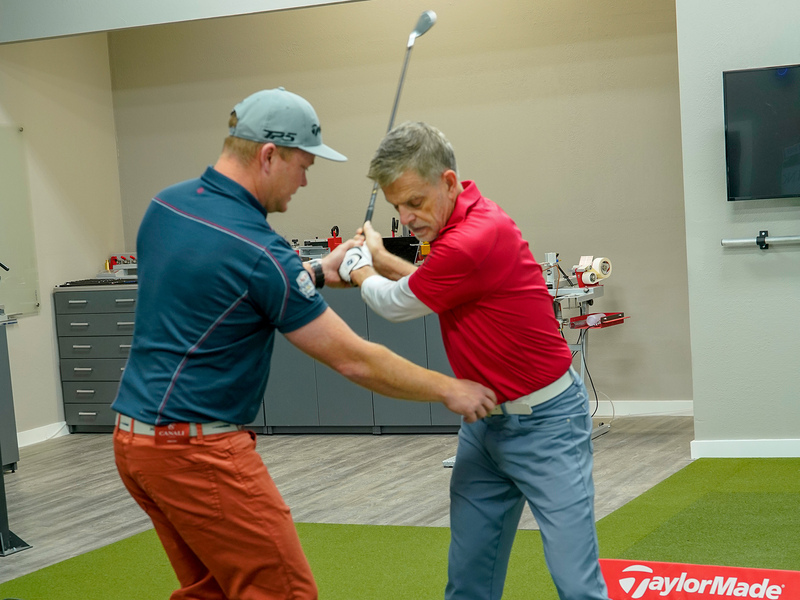 At the conclusion of each training program the golfer will go through exit testing to determine the positive change in their individual key performance indicator. Golf is a difficult game, but with the right coaching we can help you can achieve your potential. It's all about shooting lower scores - let us get you there! The Golf Lab's coaching programs have been developed from proven principles of long-term athletic development. These semi-annual and annual game improvement programs progress athletes through the stages of both cognitive and motor learning. Each athlete has their own personal performance plan developed that addresses their individual Technical, Physical, Equipment, Mental and Tactical needs to shoot lower scores.